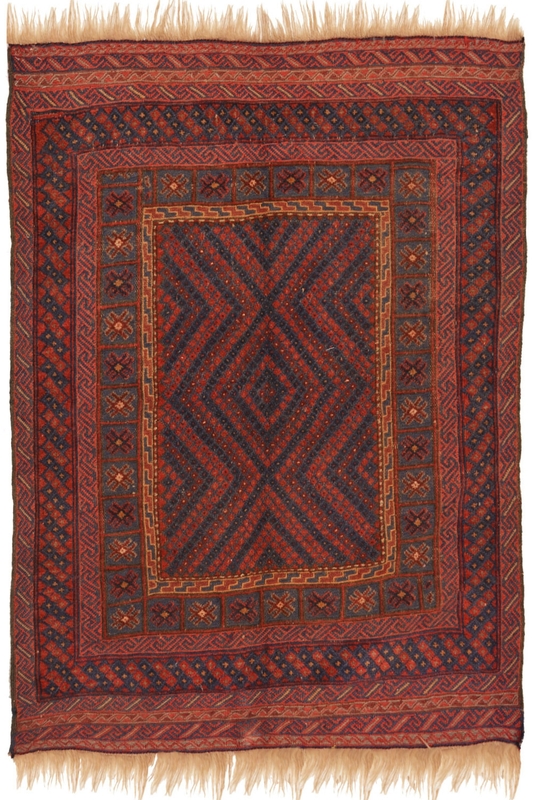 This stunning kilim rug is beautifully woven in super quality of wool and cotton material. The ground of this rug is in rust color which is more ideal for rustic décor. It is woven in India. Shop this small size carpet for your room and give a cozy touch to your décor. This is woven in finest quality of wool and cotton material. This is woven on a handloom using a flat-woven technique. The size of this carpet is ideal to place it in the center of your living area. You can use a kilim rug for a high traffic area. This is cheaper than a hand-knotted carpet. It is 100% hand washable and highly durable carpet.